We provide a wide range of Wood Refinishing services. Our team is trained and we are experienced specialists dedicated to our craft. We are committed to the highest quality of standards no matter how big or small a project is. The skill and expertise our team has; allows us to recommend a proper method of refinishing and restoration for all types of wood textures. Serving GTA and surrounded areas (Vaughan, Oakville, Mississauga, Brampton, and more…) Contact us today for your free in-home estimate. By working on several different projects our team has mastered the art how to deliver the best quality results in all Wood Refinishing projects. Our team of wood finishing experts has a unique ability to deliver solutions and results. We provide an unparallel level of service supporting every aspect and no matter what’s the demand for the wood finishing process is. We ensure to use a certain selection of innovative products and materials that meet the expectations of our clients. While working on a project we make sure to complete the project on time and to deliver the efficiency and accuracy of our colour match process. We ensure to deliver a combination of expertise and technology means our clients get fast, accurate, and reliable colour matching no matter what their project needs are. Most of the times the process of wood refinishing can get overwhelming our team of experts can guide you and will suggest the right type of finish. We make sure to work within our client’s budget and schedule to ensure that the homeowner’s end desires are met while their wood refinishing project is going on. Our team takes great pride in the work that we deliver and that shines through with every job that we complete. Contact us today if you are in a search of professional Wood Refinishing. If you are looking and comping wood refinishing services; this is the right place for you. 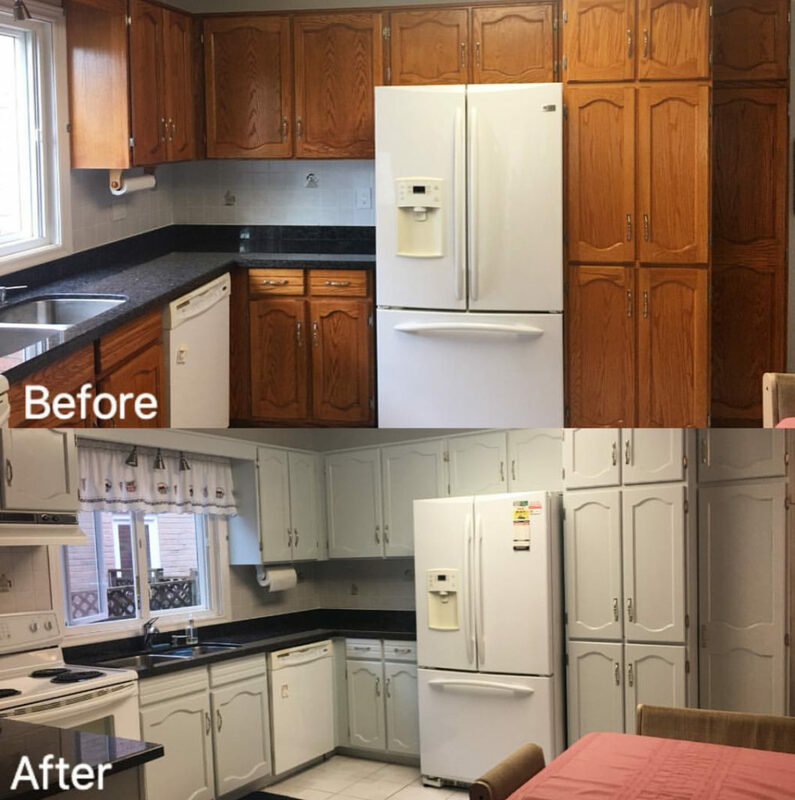 We provide best services for wood refinishing in GTA and surrounding areas such as Vaughan, call us today!